We are over 80 years old ... and that's in human years! Choosing a veterinarian is one of the most important decisions that you make as a pet owner. At Barrington Animal Hospital, you and your pets are at the center of all we do. We practice veterinary medicine because we are dedicated to helping animals live long and happy lives. In addition to the Barrington community we proudly serve pets and their people in Deer Park, Palatine, Lake Zurich and Cary. Barrington Animal Hospital was founded in the early 1900s and was purchased by Dr. Barbara Stapleton in 1991. The walls of our clinic, remodeled under Dr. Stapleton's guidance in 2005, display photographs that detail our history and many of the pets we have loved. 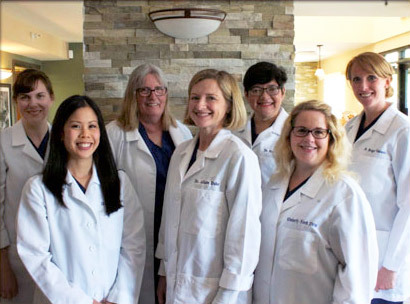 Throughout the years, Barrington Animal Hospital has preserved a family atmosphere where we truly know and appreciate you, your pets and your family. The doctors, staff, you and your pets are family. And part of being family is making sure that we provide you with the best medical care available for your pet. Excellent pet health begins with routine wellness care that includes a comprehensive "nose-to-tail" examination, vaccinations, and preventive treatments. Identifying issues before they become serious is both the key to long-term good health and to keeping the lifetime cost of caring for your pet as low as possible. If your pet does become sick or injured, we are here to provide the compassionate and skilled veterinary care your pet needs and you want. Our advanced diagnostic technology, surgical capabilities and in-house laboratory mean that we can work quickly to get you an accurate diagnosis and treatment recommendation, minimizing both your pet's discomfort and your worry. Great veterinary care begins with taking the time to listen to you and answer your questions. When you bring your pet in to see us, we want you to feel confident that your pet is receiving the best care possible. Ask us anything you want to know. Our commitment to you and your pet doesn't begin and end in the examination room. We make an effort to help clients and their pets in and out of our hospital When you purchase food, cannot carry your belongings or need assistance with your pet, we help you to your car. We also have an area in our waiting room reserved for those clients who prefer to stay and wait while their pet is in surgery. Please take some time to read through our website, learn about the services we provide and why you should trust us with your pet's health now and for years to come. 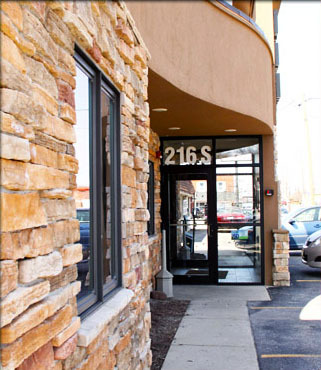 If you have any questions or would like to schedule an appointment please email or call us at(847) 381-4100. - $50 gift certificate for every pet owner you refer. - New clients 50% off their pets' first examination. Stop by any time to visit or tour our hospital! From the north: Travel south on Rte. 59 and take a left onto E. Main St. Travel east until the next large intersection and turn right onto 14/ S. Northwest Hwy. From the south: Travel north on Rte. 59 and take a right onto E. Main St. Travel east until the next large intersection and turn right onto 14/ S. Northwest Hwy. Tuesday - Friday: 8 a.m. - 6 p.m. The staff at Barrington Animal Hospital does everything we can to help you afford treatment for your pet's needs. Our fees reflect top quality care by our dedicated and experienced staff with an unsurpassed level of concern for your pet. Our goal is to provide progressive, superior veterinary medical and surgical protocols while offering your pet the utmost compassion and attentive care. We are happy to discuss our fees with you prior to initiation of medical treatment and will gladly provide you with a printed estimate. We require full payment at the time services are rendered. Deposits are required for select treatments and procedures, including a 50% advance deposit for referral clients prior to surgery. For your convenience, we accept Visa, MasterCard, Discover, American Express, debit cards, cash, checks and CareCredit. Dr. Duke has been an active member of the Rotary Club since 2007. We offer Girl Scout tours of the hospital and visit local elementary schools. We have participated in numerous community events such as the Halloween Straw Scarecrow decorating contest, 4th of July Parade (where we won the grand prize in 2012! 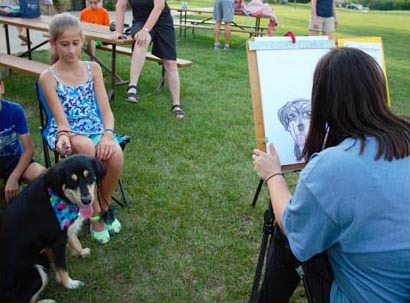 ), Barrington Car Show, Canine Carnival, Children's Dog Show, and many more! We accept stray dogs, treat injuries and place unclaimed strays in good homes. Giving back to our community is just another way we stay connected to our neighbors and their pets! Click HERE to read our feature article in Quintessential Barrington! To make an appointment, please contact our office by phone (847) 381-4100 or email. If you are unable to keep an appointment, we ask that you kindly provide us with at least 24 hour notice. We ask for this advance notice so that we can offer the appointment time to another patient. A fee may be charged if you do not show up for an appointment without sufficient notice. Our hospital mission is to provide pets and pet owners with the most comprehensive veterinary care in an atmosphere of healing, warmth and goodwill. Please give us a call at (847) 381-4100 or email us to set up an appointment today.